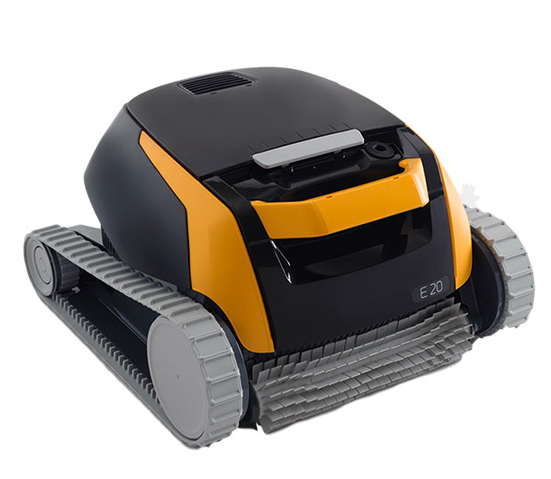 The Dolphin E20 is the robot of your dreams on an affordable budget. 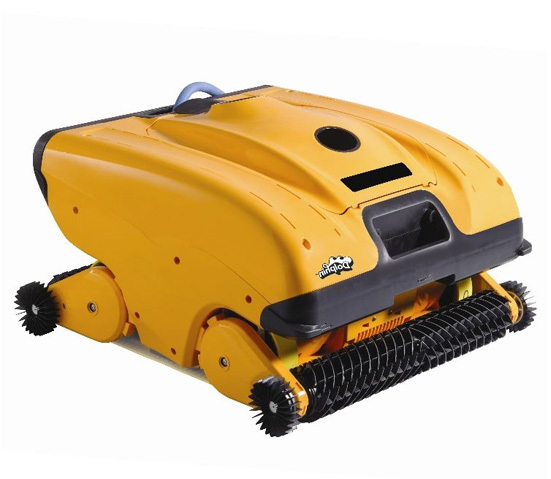 This lightweight, small robot is ideal for all types of small pools, including above-ground pools, cleans pool floor and walls. Has a 2 hour cycle time, 15 metre cable length and comes with a 24 Month warranty. 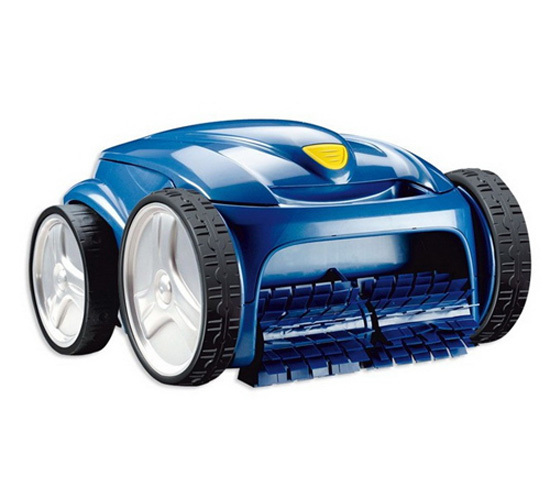 Experience superior Dolphin E pool cleaning,with this basic robot. With its ultra-light weight and quick water release, Dolphin E30 Plus is super-easy to handle. The dual active brushing action and PowerStream Mobility System ensure efficient pool coverage, leaving the floor, walls and waterline spotlessly clean. Has a 2.0/2.5 hours cycle time, 15 metre cable length and comes with a 24 Month warranty. Advanced scanning software and gyroscopic navigation system ensures floor, walls and waterline are fully covered using the most efficient route. 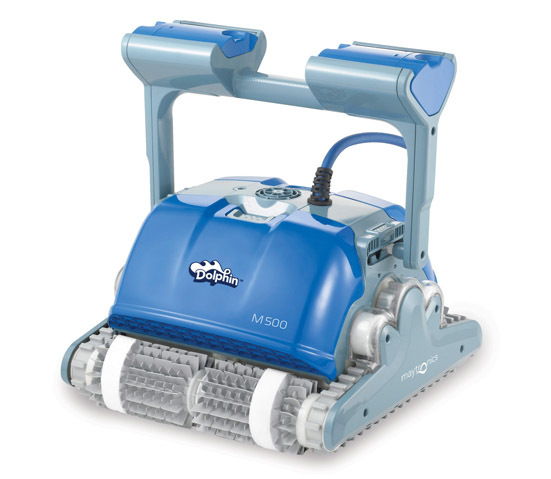 Includes the MyDolphin smartphone multi-function app for convenient cleaning programme setup and operation control, including manual navigation to direct your robot to clean specific parts of the pool. Has a 1.5/2.5/3.5 hours cycle time, 18 metre cable length and comes with a 36 Month warranty. 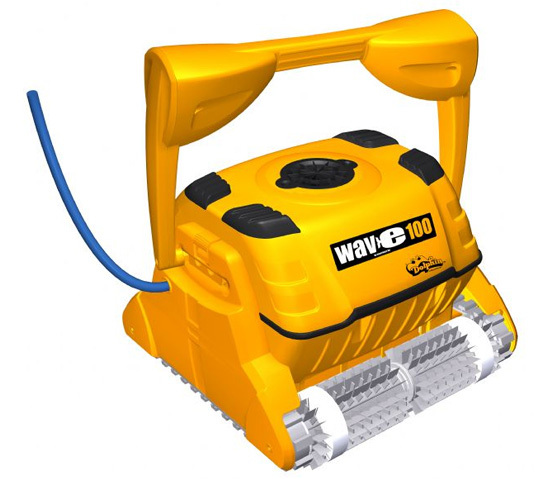 The Dolphin Wave 100 is a true workhorse for pools up to 25 metre. 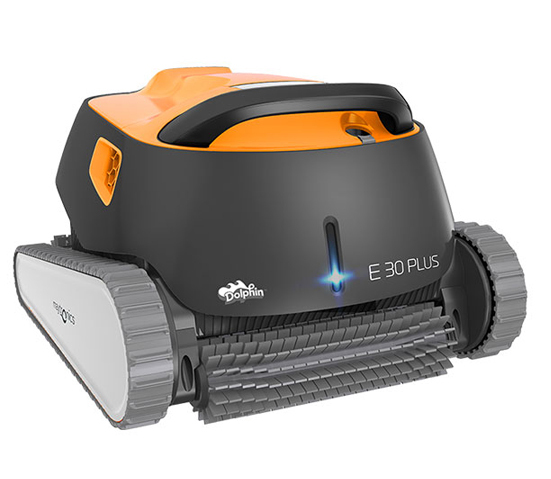 This heavy-duty robotic pool cleaner thoroughly cleans the floor, walls and water line, leaving the water sparkling clean. Has a 4/6/8 hours cycle time, 30 metre cable length and comes with a 24 Month warranty. This revolutionary commercial pool cleaner delivers long-lasting reliability and the best wall-to-wall cleaning in its class. Easy-to-use and easy-to-clean, it efficiently and effectively cleans any mid-sized commercial pool, regardless of shape or type. Has a 1 – 8 hours cycle time, 35 metre cable length and comes with a 24 Month warranty. Effortless & light weight handling of the TX35 coupled with its agile operation delivers an extreme clean of both floor and walls. Store the TX35 in the easy to assemble transport and storage caddy. Has a 2.5 hour cycle time, 16.5 metre cable length and comes with a 2 Year Manufacturing Defects warranty. The Zodiac RV4400 has been designed to provide not only a thorough clean of your pools floor and walls but to also make your life easier with the Zodiac Lift system. Press the lift system button and the RV4400 will climb the pool wall and wait to be removed by you. It is that simple. Has a 2.5 hour cycle time, 18 metre cable length and comes with a 3 Year Manufacturing Defects warranty. 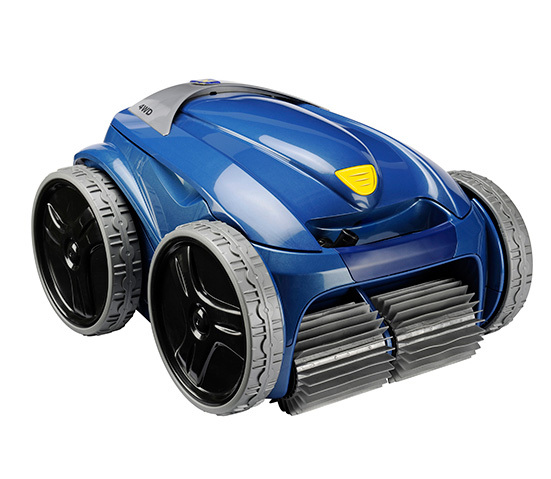 The VX 55 4WD is a cut above the rest, engineered to provide the ultimate pool cleaning experience. 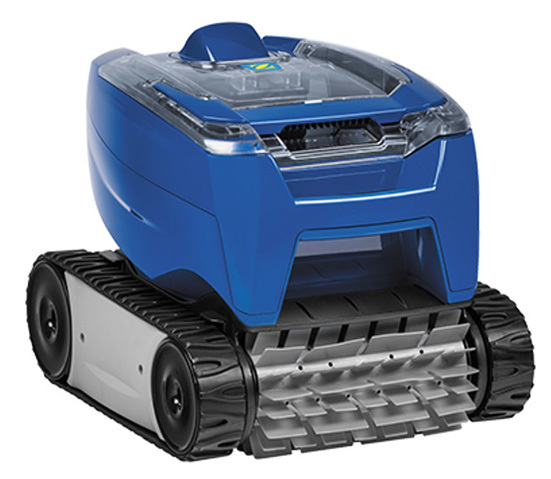 The VX55 4WD is equipped with the best Technology the industry has to offer, making pool cleaning easier, ultra-efficient and fun! Has a 1.5/2.5/3.5 hours cycle time, 21 metre cable length and comes with a 3 Year Manufacturing Defects warranty.